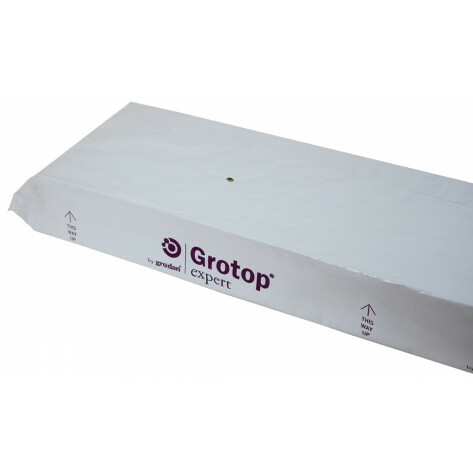 The Grodan Grotop Expert Rockwool Slab are the final stage of planting when using growing blocks. 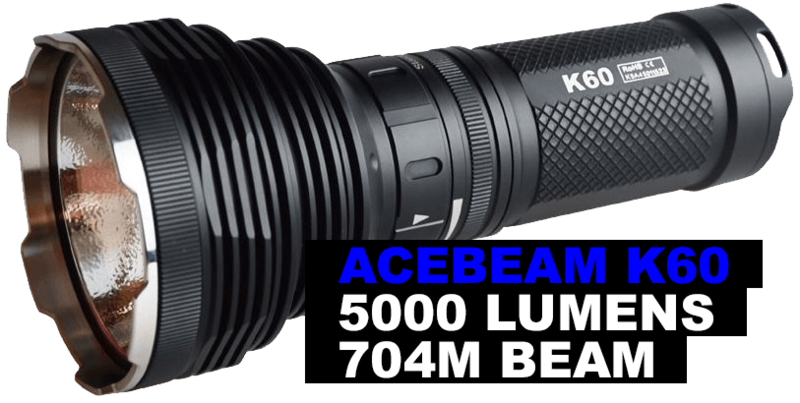 Recommended for larger, long-term crops with extensive roots. 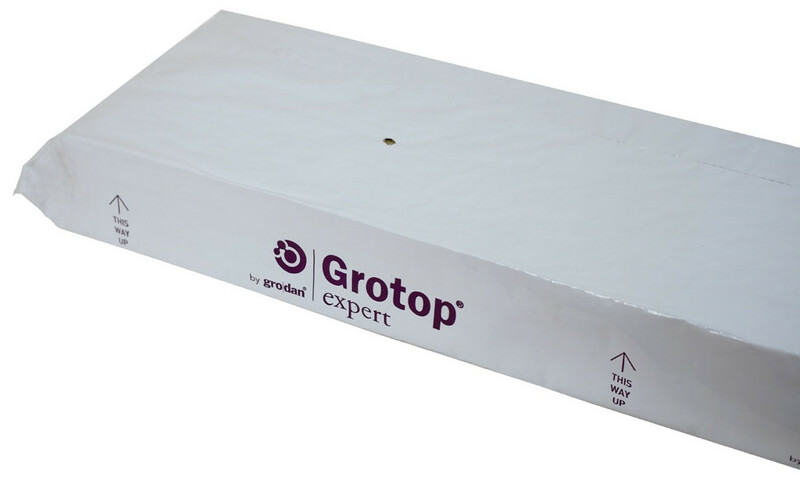 Grodan Expert slabs are the slabs that drain the fastest because of their vertical fibres. By far the most popular slab for the hydroponic hobbyist market. These slabs come in UV resistant sleeves for ease of use. Grodan stonewool/rockwool is made from volcanic rock spun into cotton-like fibres and then compressed into cubes/blocks/slabs. Grodan is unique by making different types of fibres for different slabs/cubes/blocks instead of cutting all sizes from one batch of wool. Supporting the requirements of the plant in it's different growing stages. Grodan rockwool is capable of absorbing nutrient solutions while retaining plenty of oxygen for rapid plant growth. Grodan comes in graduated sizes. Seedlings started in cubes, that are easily transferred to blocks and then onto slabs. Or eventually transplanted into more traditional planters and growing mediums (can be transferred from the cube growing stage onward).